Greg Dheel, a Field Service Supervisor at SICK, likens his job to a game of baseball: he plays on the team as a technician, but he also manages and coaches the team. Greg supervises a team of seven service technicians within SICK’s logistics automation business. He schedules the team’s service calls, interfacing with SICK’s project management and scheduling departments, to match technicians to jobs within their skill level and provide growth opportunities. 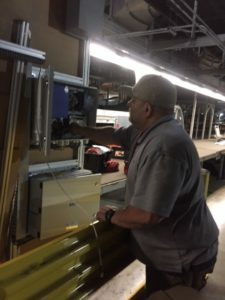 As a technician, Greg is on the road at customer sites about 85 percent of any given week, working on repairs, installations, and preventative maintenance involving SICK sensors on a variety of equipment, such as laser barcode readers and high-speed camera product ID systems, among others. He has a reputation as an equipment troubleshooter, which comes in handy with customers that have distribution and fulfillment centers, warehouses, and other shipping and retail-related facilities nationwide. “I tend to get the more awkward jobs, based on my experience level. From the troubleshooting perspective, it can be a tough environment,” Greg said, adding he may be working anywhere from Portland, Maine to Portland, Ore.
Greg’s troubleshooting skills take into account the totality of customer systems to solve problems. For example, one customer reported issues with a scanning system containing SICK sensors. From a look at the shipping labels, Greg diagnosed the problem wasn’t with the scanner, but with the customer’s printer. Greg also shares his knowledge of customer problems with his team and teaches it in classroom training sessions. To make it all work, Greg draws on skills of complex problem solving, time management and active listening. He built a career in electronics after a decade of service in the U.S. Navy as an aviation electronics technician, primarily working on radar and navigation systems of F-14 fighter jets and C-130 transport aircraft, while managing up to 10 servicemen. He joined SICK in 2012, following a position as a field service engineer for an automatic-ID equipment maker. 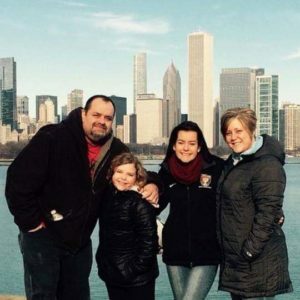 Previously, he worked in various field service technician roles at other companies and for a telecomm company, based in suburban Chicago, where he worked as a training manager. Along the way, he earned a Bachelor of Science in Public Administration from the University of Phoenix and an associate degree at Prince George’s Community College in Largo, Md. 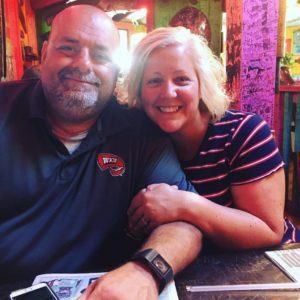 Residing in Bowling Green, Ky., you might find Greg working on the family cars or enjoying time with wife and two daughters. His oldest daughter is about to be married, and the youngest at 14, plays the ukulele.